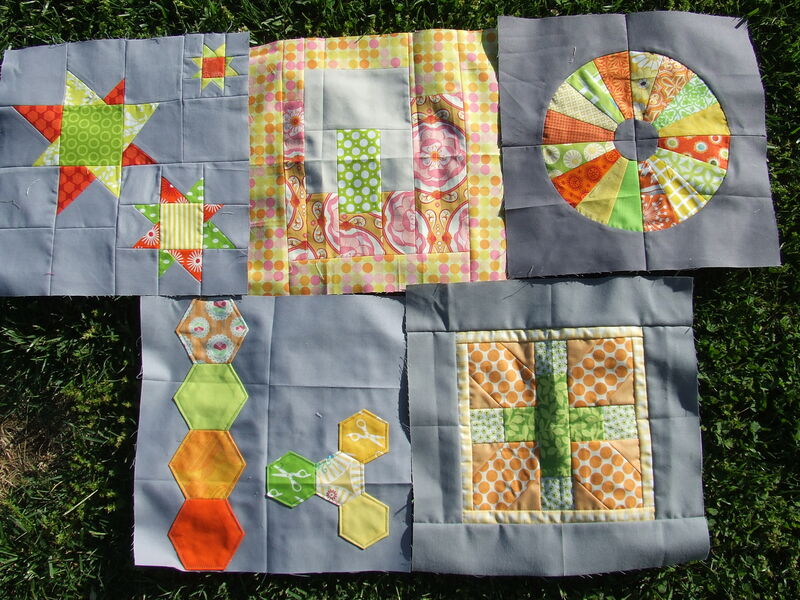 I have participated in several rounds of the 4×5 Modern Quilt Bee, and it has been great fun. It’s a fantastic way to interact with other quilter and to get a sampler quilt on the way to completion. Recently, our fearless leader, Sukie, announced that she was stepping down from leading the bee and it would be no more without someone at the helm. 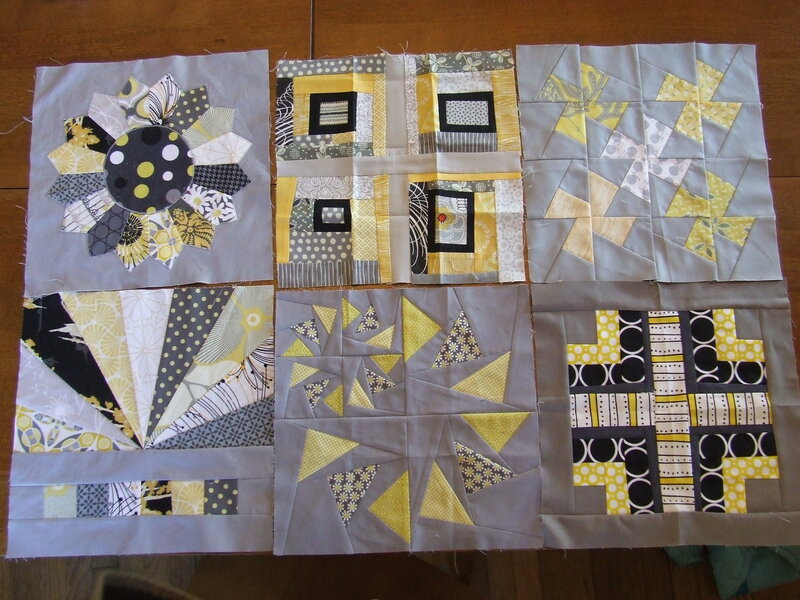 I just couldn’t let that happen, so with the help of two other quilters, I will be the NEW queen bee of the 4×5 bee. I’m headed into unfamiliar territory, but Sukie has promised to mentor me. 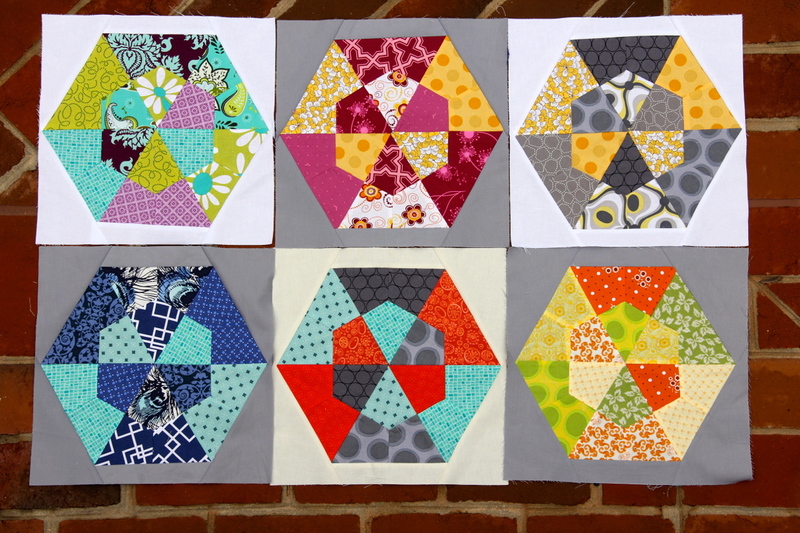 Here’s how the 4×5 Modern Quilt Bee works. First, you fill out a form with your color preferences and mailing address. This is shared with your hive caretaker and beemates so that your blocks can be mailed to you. You make a color mosaic so your hivemates have an idea of what you are looking for in your color choices. You are assigned to be part of a hive with 5 other quilters. You choose your colors for your quilt, and each of your hivemates makes you a block of their pattern choice in your color choice. This was from a round of the bee when my colors were yellow, grays, black. 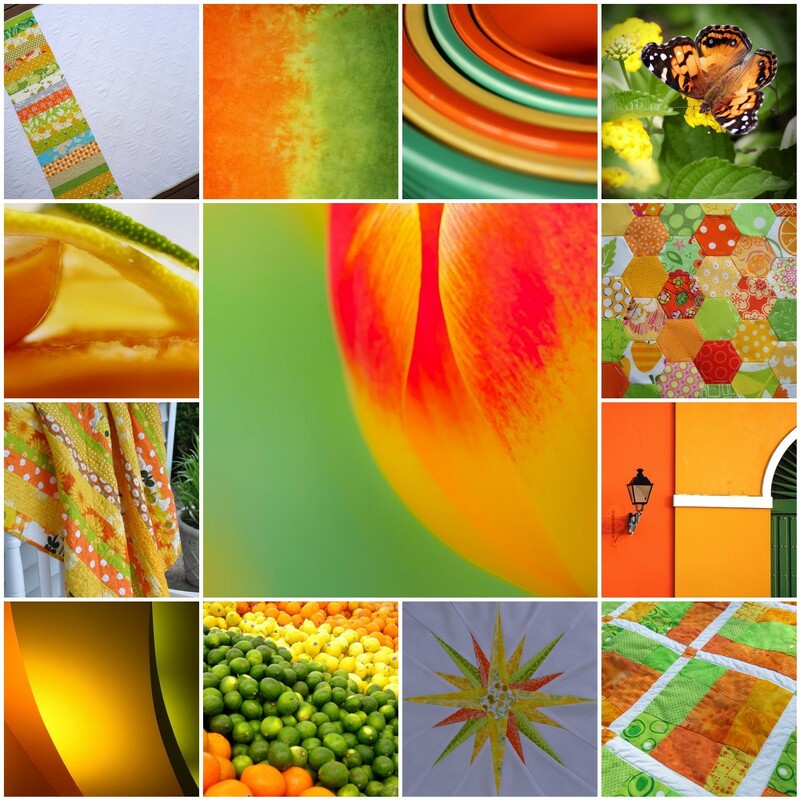 Then I changed my color choices to tangerine, lime, and lemon yellow (sounds delicious right?). Meanwhile, you choose a block to make each of your beemates in their color choices. In this bee, we use our own fabrics. This block led to a tutorial for my Multiples of 3 block. After sign-ups, the bee runs for 6 weeks, so you have a week to choose your block pattern and pull fabrics, and then 5 weeks to sew. That allows for one block per week. At the end of the round, you mail off your blocks and receive 5 blocks in the mail. Sign-ups are going slowly right now. With the redesign of Flickr and the uncertainty about the future of the bee, I don’t think people are checking in. 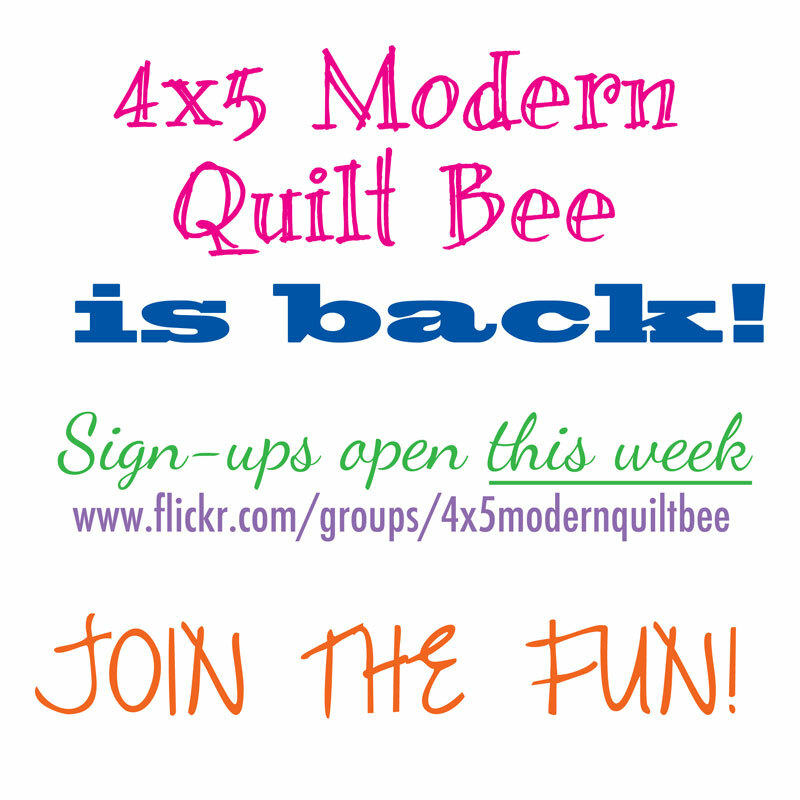 But please join us in the 4×5 Modern Quilt Bee, and feel free to use that photo at the top to share and spread the word!